Amazing Thailand (Bangkok & Phuket), Accommodation and phi phi Island with lunch. 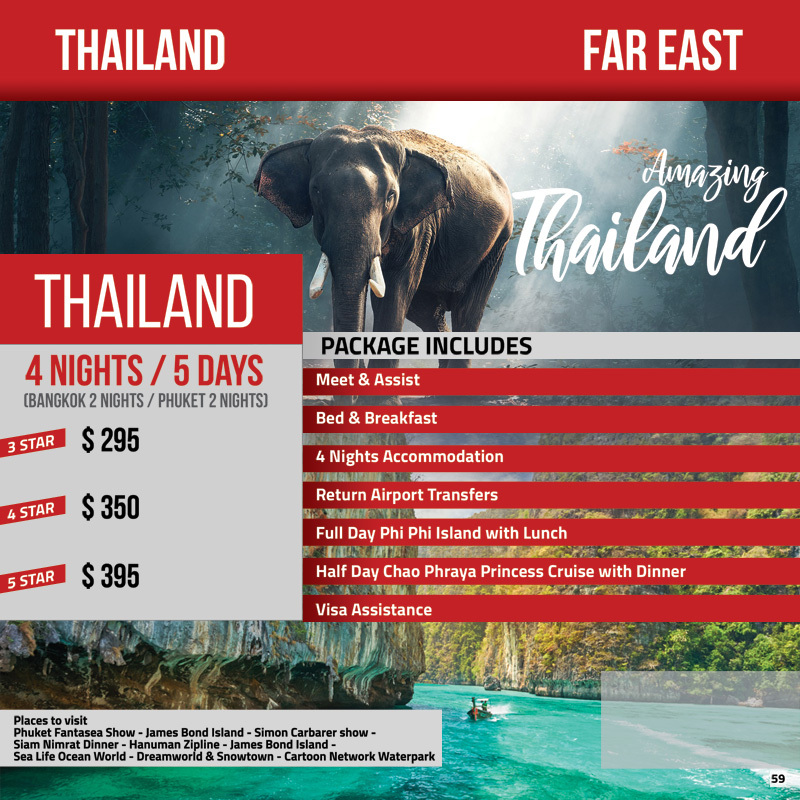 Thailand Tour with travelmate – (Bangkok 3 Nights / Phuket 3 Nights). Khai island tour, Dreamworld tour, Accommodation, Tour of Siam City park, Daily breakfast, visa assistance.